The film TIN DOH YAU CHING SHUI YUET (HEAVENLY ROAD: FRIENDSHIP AGE) two nights ago held a press conference. Actors Carrie Ng Ka Lai, Richard Ng Yiu Hon, Carl Ng Ka Lung, Justin Cheung Kin Sing, Kelly Chan Ka Lei and Eric Kwok Wai Leung attendd. 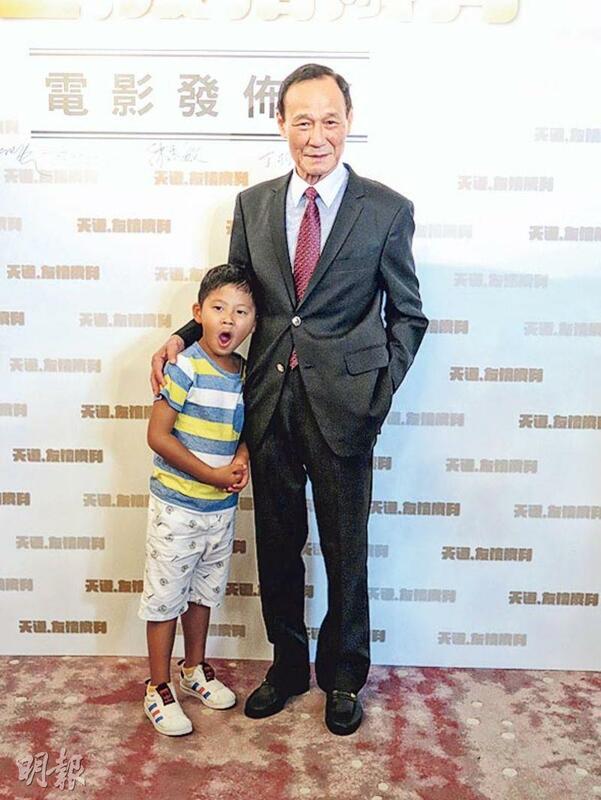 Producer, director and actor Chan Wai Man even brought his son and five year old grandson. Chan Wai Man revealed that this time he would direct with Wong Lung Wai. He only hoped that the film would not lose money so he would be able to answer to investors. He never thought about making a big profit. Chan Wai Man for now has not thought about letting his grandson act, since h was afraid that he was too little to. Ng Ka Lai said that if children were energetic enough, five year old could be a child star. Ka Lai revealed that she and Chan Wai Man have known each other for ten years and worked together on many movies. Thus this film when she was invited she agreed without even asking about the salary. Chan Wai Man also praised Ka Lai for her loyalty. The big sister in the film was the most suitable for her to play. Former couple Chan Ka Lei and Cheung Kin Sing were interviewed together. Cheung Kin Sing called her "Miss Chan". Kelly said that in the film she had more scenes with Emme Wong Yee Man, but she had no idea who Cheung Kin Sing would work with. Cheung Kin Sing said that he was planning and participating in the screenplay. He was a chore boy. As for Ka Lei's social media video receiving a heart from Cheung Kin Sing, were they already back together? Ka Lei said, "Lately I have been busy with acting lessons, I haven't paid attention to the interaction on social media so I don't know that he sent a heart!" Cheung Kin Sing followed, "As long as the photo is pretty I would like it!" Were they already back together? He said, "I will take it naturally. People would always have moments when they get lost. I will worry about the future when it comes!" Ka Lei added, "We are friends. Experience is a process. As an actor you have to have experience to be able to act well!"